Special Containment Procedures: SCP-837 is to be stored in its fully factored state when not undergoing experiments, with each factor stored in a separate plastic container. All experiments should be conducted in rooms with reinforced flooring. Due to potentially dangerous consequences of cross-contamination, at no point are SCP-705 and SCP-837 to be stored at the same site. 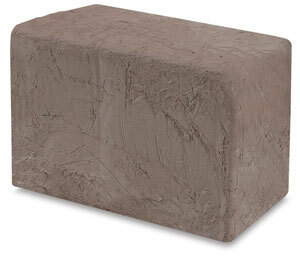 Description: SCP-837 is a quantity of brown clay with two anomalous properties. The first is that it neither releases nor absorbs moisture. Exposures to heat or water have not materially altered its composition, retaining its level of ductility, malleability, and texture. The second property is its unusual reaction to being separated and combined. While both of these occur as easily as with normal clay, the results are non-arithmetic. When two pieces are combined, the resulting quantity is both larger and heavier than the individual pieces. When two pieces are separated, the resulting quantities are much smaller and lighter than they should be. Density remains approximately 1500 kg/cubic meter. Measurements have shown that each quantity is an integer number of drams, an Imperial unit of weight equal to one-sixteenth of an ounce, or 1.8 grams at standard gravity. Combinations of two units of clay result in a multiplication of their weight in drams, rather than an addition. Six (6) drams of clay combined with five (5) drams yield thirty (30) drams, rather than the expected eleven (11). When separated, the clay is divided into factors of the original weight. A piece weighing 50 drams could be separated into 5-dram and 10-dram units, or 25-dram and 2-dram units. It cannot be divided into two 25-dram units. When a prime factor is produced, further pieces separated produce one-dram units, without apparent loss of mass to the prime unit. One-dram units can theoretically be produced indefinitely, but disappear when combined with any other unit. Attempts to remove pieces smaller than one dram always result in a one-dram unit being produced. The Foundation currently has two two-dram units, three three-dram units, two five-dram units, one seven-dram unit, and one eleven-dram unit. When separated, these quantities weigh 41 drams, or approximately 73 grams. When combined, the entire quantity weighs 207,900 drams, or 368 kilograms. Due to its anomalous properties, SCP-837 cannot undergo normal chemical analysis. However, spectrometry shows results consistent with normal river clay. SCP-837 was found by urban explorers in an otherwise empty warehouse in Munich, Germany, in a cardboard box with the number 6 stenciled on the side. The owners of the warehouse were unaware of anything being stored there. Addendum 837-01: Any future samples of SCP-837 recovered must be stored at a separate site, barring O5 approval.